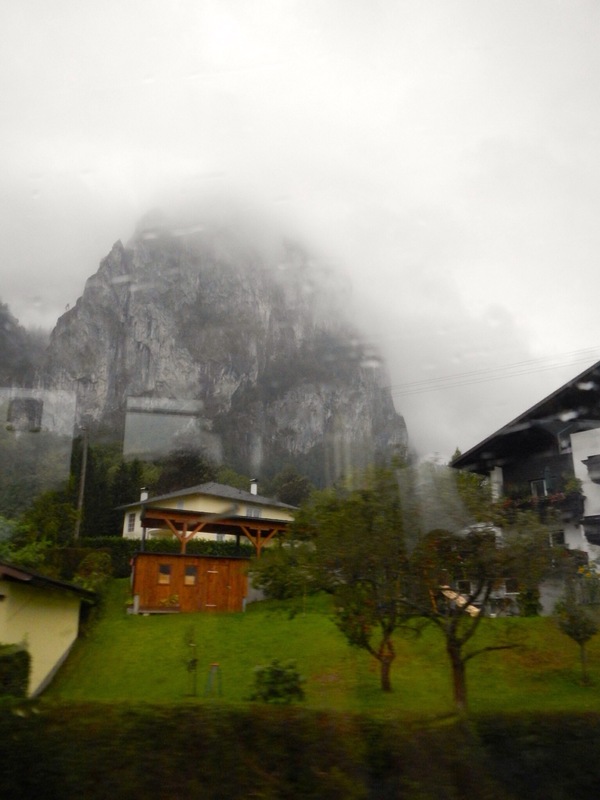 The Hills Are Alive…in Salzburg Austria! 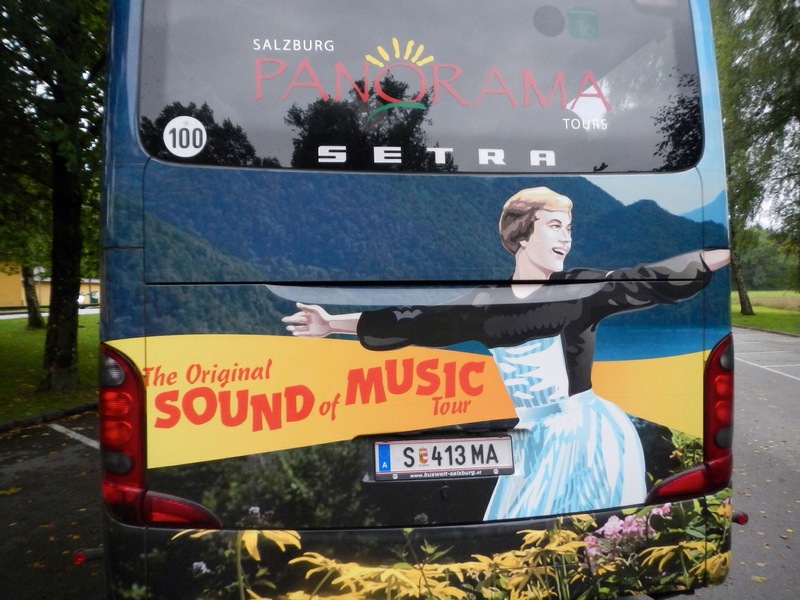 When I was in Salzburg, I had the pleasure of exploring the rolling hills of Mondsee via Panorama’s Tour of the Sound of Music! 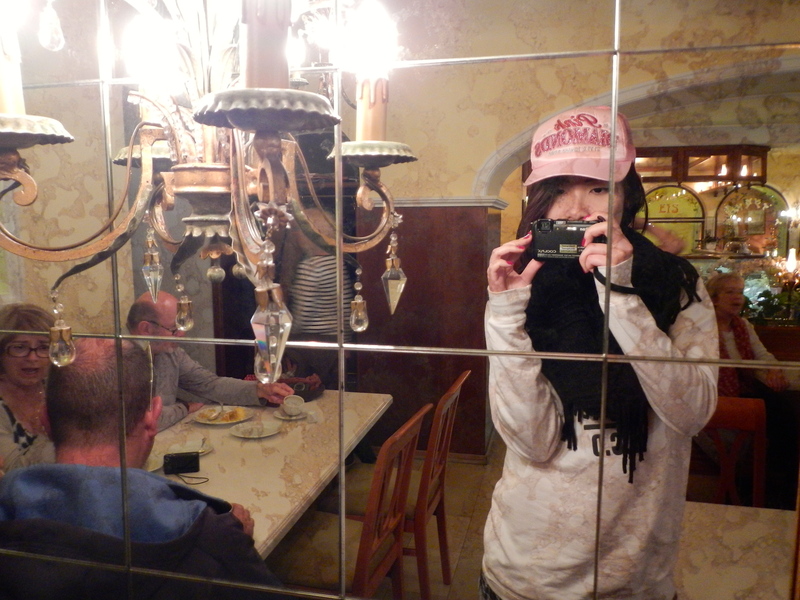 I shared an afternoon singing along to “Do Re Mi Fa”, “Climb Every Mountain” and “Sixteen going on Seventeen” with 20-odd tourists who grew up also singing and dancing along to tunes from Julie Andrew’s 1965 film musical. 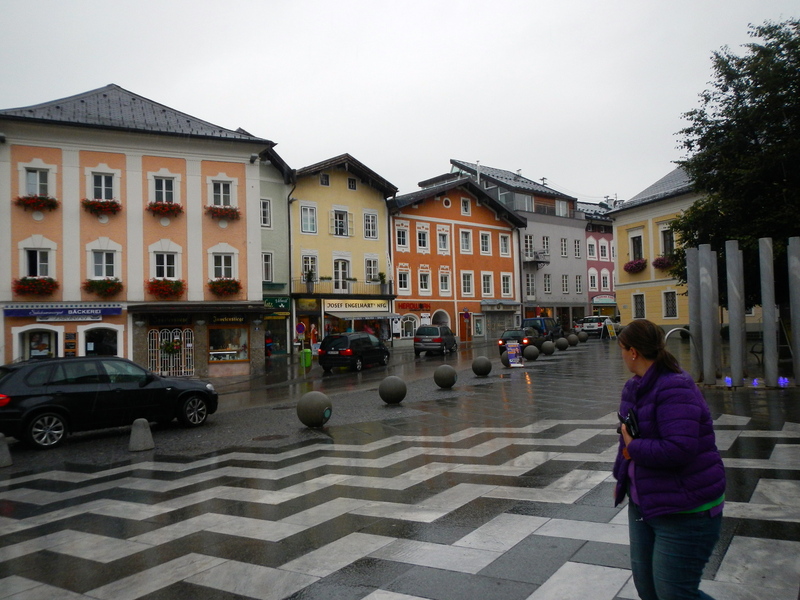 This is a view of Mondsee as our tour bus cruised the winding roads that led to Mondsee Abbey – the Benedictine monastery in which Julie Andrew’s character wedded Christopher Plummer (Maria and Baron von Trapp). 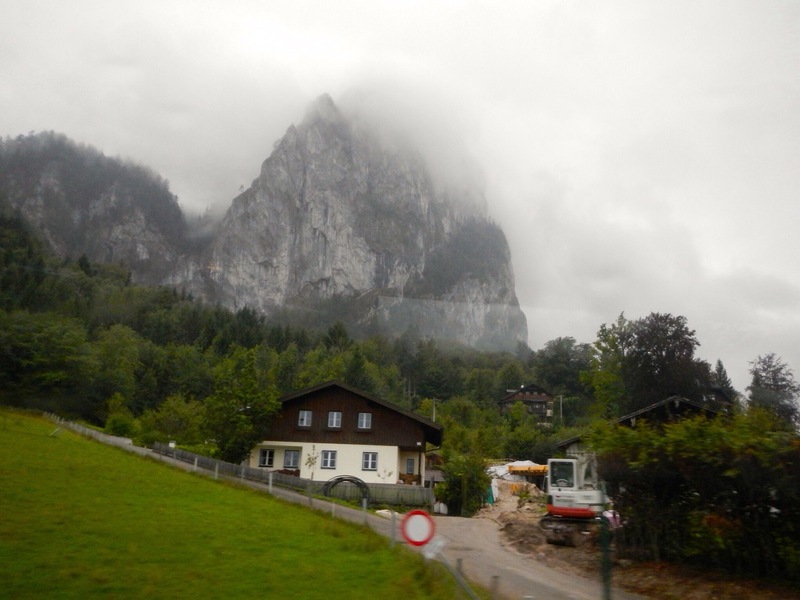 Fun fact: The film shows von Trapp family hiking over the Alps from Austria to Switzerland. 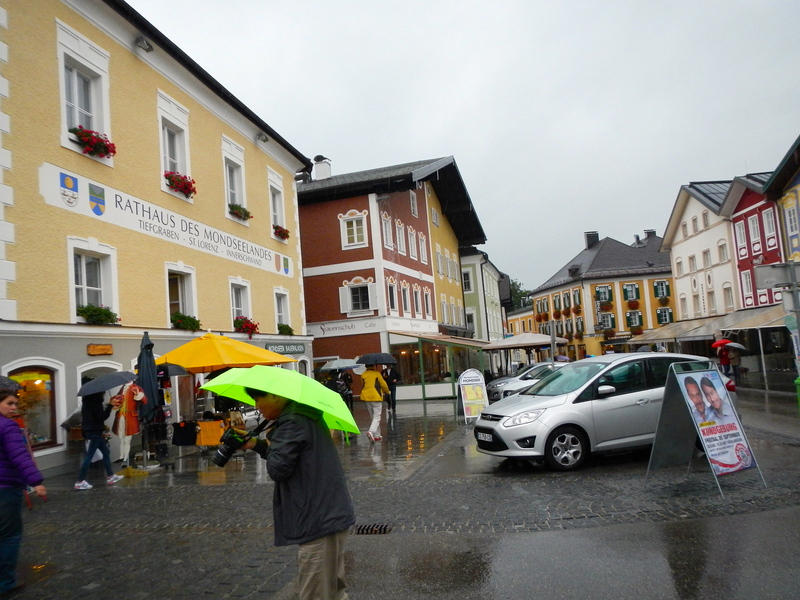 However, the family did not intend to leave Salzburg on foot. 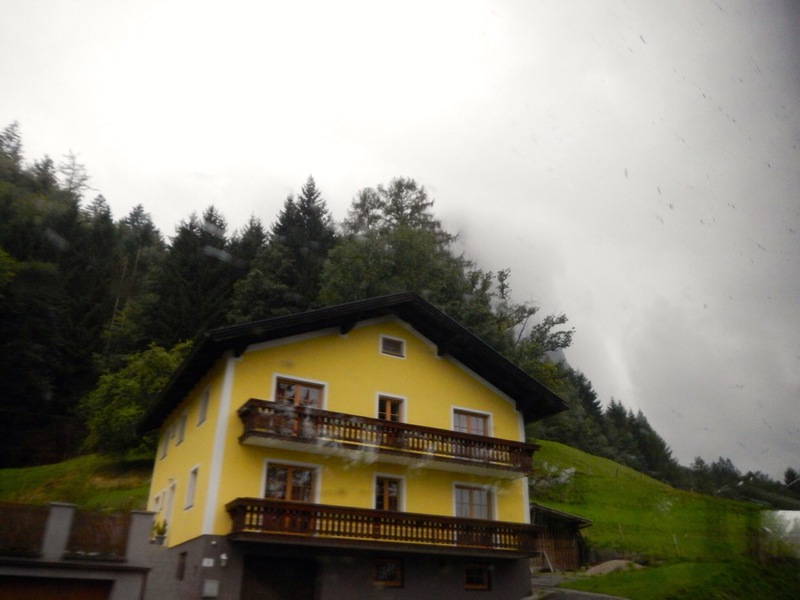 They could have driven through the night nearer to the Swiss (or Italian) border before embarking on their hike. 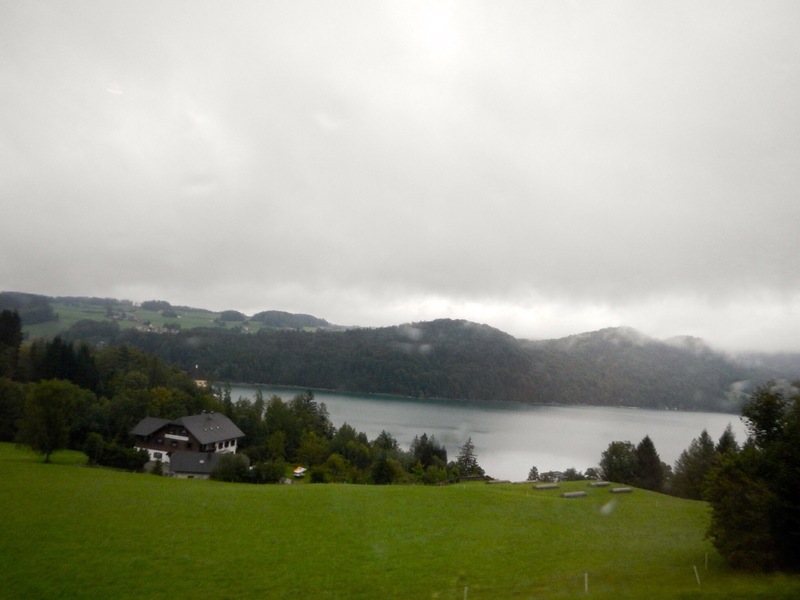 35 bumpy minutes later, we had passed organic farms, beautiful lakes, hideaway resorts of the rich and famous, as well as many chapels tucked away in the mountain of Mondsee. 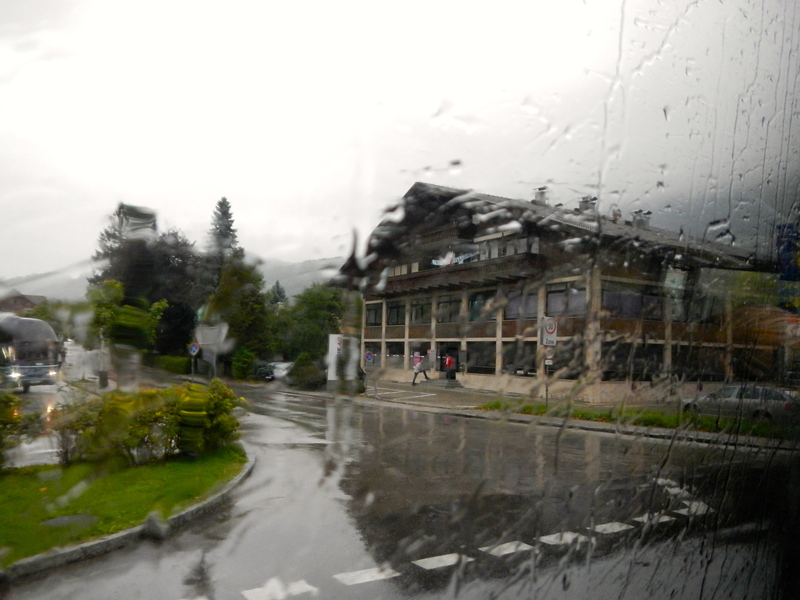 We also caught a glimpse of Mondsee Lake…a very quick glimpse as it was pouring rather heavily! 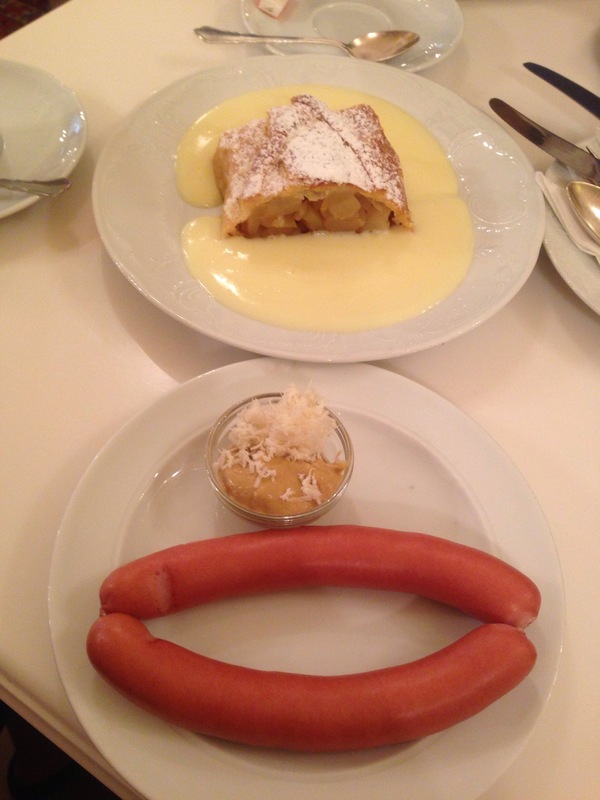 …where finally! 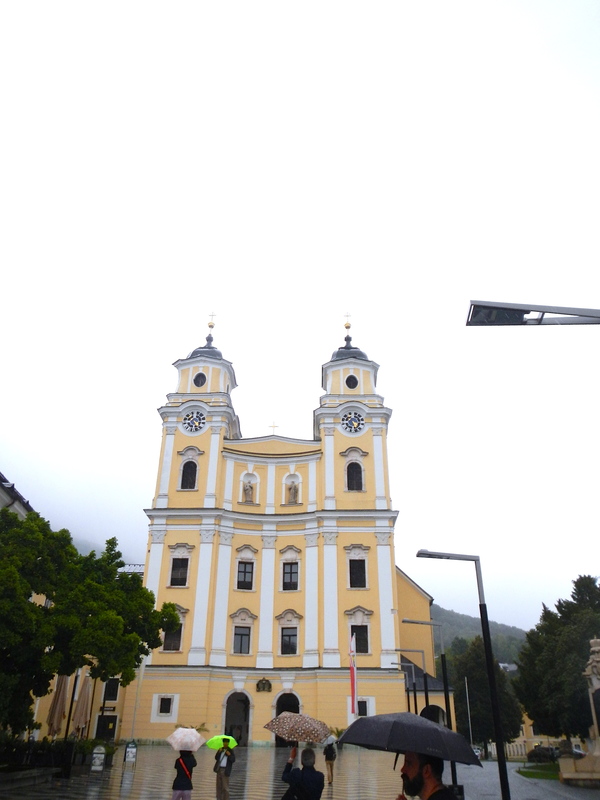 The Mondsee Abbey greeted us warmly! The elaborate wedding ceremony of the von Trapps was held right in this chapel. 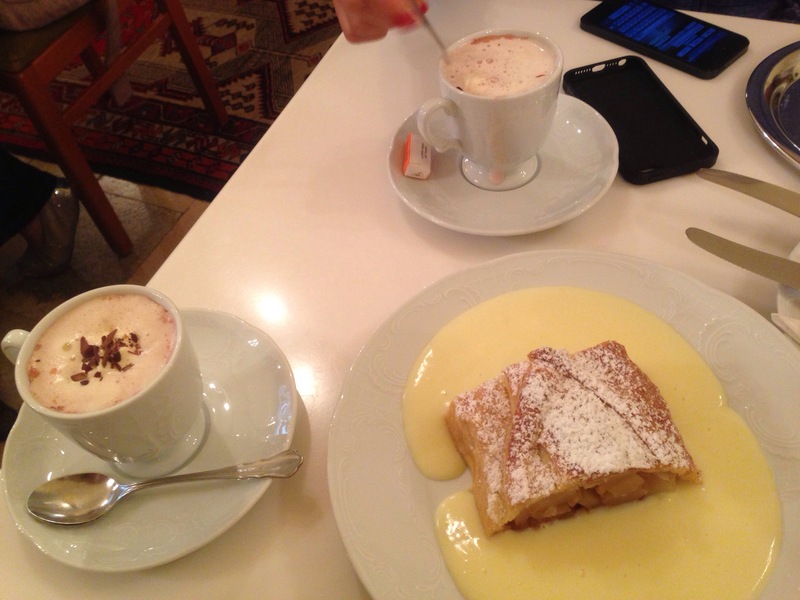 We hid from the rain at Cafè Braun, a place best-known for its apple-strudels! 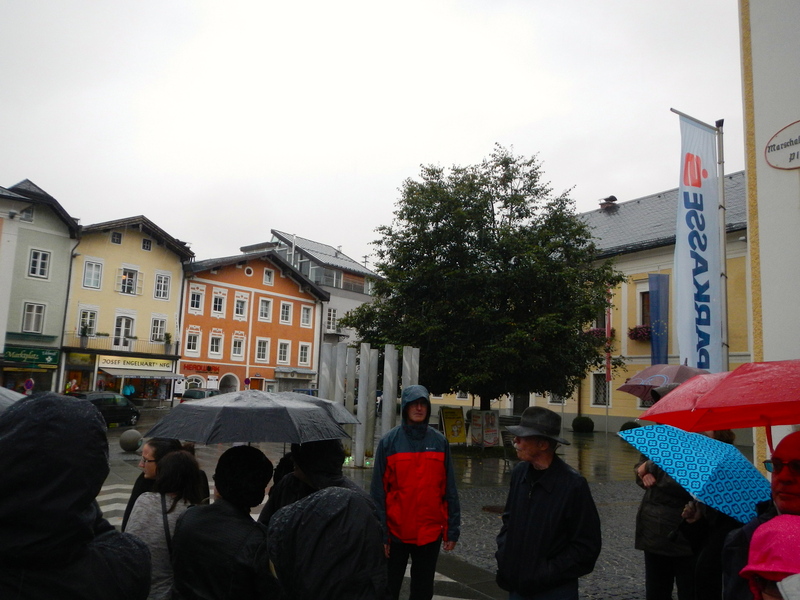 I loved walking in the rain, though utterly chilled to the bone, in the quaint little village where locals are quick to welcome you to their humble dwellings. 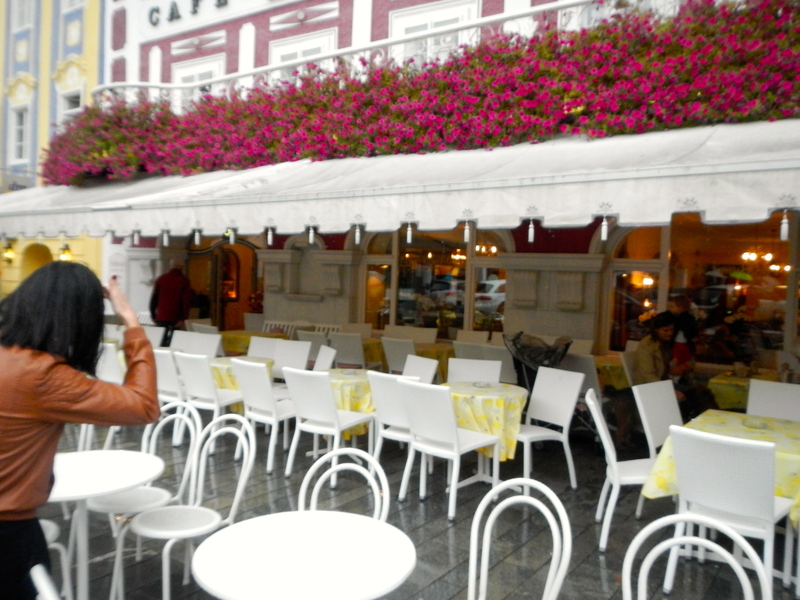 Each of these sidewalk cafès and eateries offer a variety delish bites, as well as elaborate local dishes! 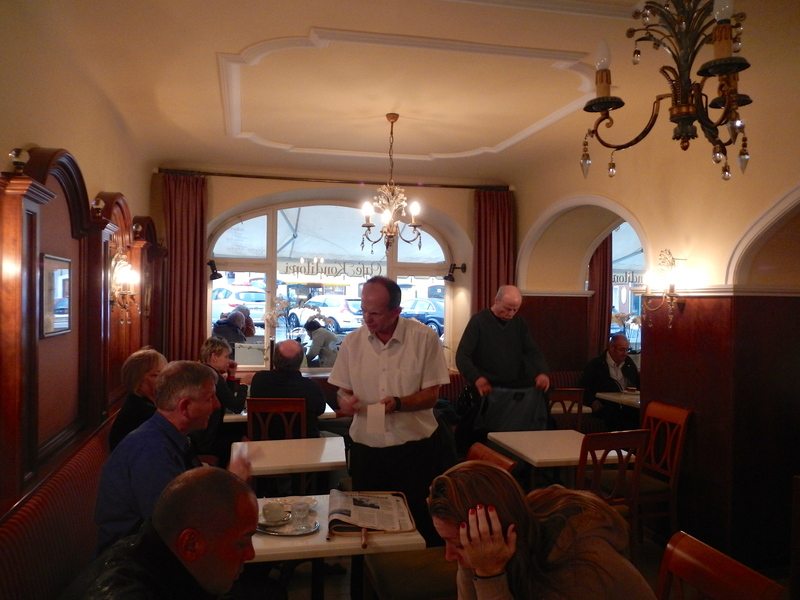 A pity we were hurried back on the tour bus in under an hour, so our guides can swish us back to Salzburg train station in time for home-bound transport. 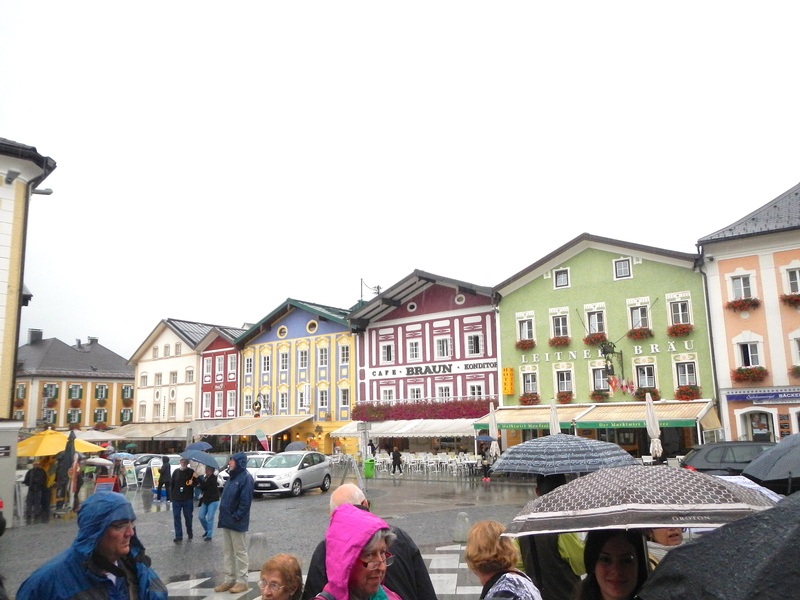 Nevertheless I did enjoy the lush greenery of Mondsee immensely! Seeing the mountain upclose was breathtakingly surreal.